For more than 20 years, I have taught maths, science and technology to adults from all walks of life, across the Adult Education sector, the FE sector, and more recently the HE sector. 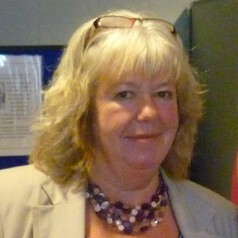 I am an independent education consultant and until recently was an associate Learning and Skills inspector for Ofsted. Passionate about inclusive learning and improving access to higher education for socio-economically disadvantaged students with ICT limitations, I have been interested in prisoner education for many years. My research has focused on how prisoners access and benefit from higher education and I have recently completed an ESRC-funded PhD entitled ‘Prison-based transformative learning and its role in life after release'. An invited panel-speaker, I currently sit on advisory boards of a number of prison-related projects in the UK and Australia.